River cruising might not be as common as ocean-style cruising, but it is becoming more and more popular every year, for so many good reasons. Travellers are enjoying the calm waters, all-inclusive services and the intimate feel. Read on below to see the top 8 reasons to take a river cruise. During an Amazon river cruise the transportation and logistics are completely taken care of for you. Planning and operationalising an itinerary is typically one of the most time-consuming and stressful parts of travel. But on a river cruise, there’s simply no need to worry about getting from A to B. Instead, you can rest assured in the knowledge that you’ll arrive at each travel destination with ease and right on schedule. We also take care of airport transfers, which makes getting to the vessel a breeze. Once on board, you only need to unpack once and can then settle right in, making yourself at home for the duration of the cruise. Of course, we take care of all the other nitty-gritty details involved in travel too, from where you sleep each night, to excursions, lectures, guides, equipment, meals and all the other extras you expect from a vacation. In other words, you pay a set amount up front and there’s no need to worry about budgeting or spending more than you bargained for. This means more time to relax and enjoy the amazing sights and sounds of the Amazon. *Some cruises are all-inclusive, others may have excluded costs such as certain alcoholic beverages, or additional activities. River cruising, in general, is great for covering large distances within short spaces of time. This is particularly true when it comes to visiting the Amazon River, given its sheer size. On a cruise, you’ll be journeying down the river throughout the evening and night, saving considerable transfer time and ultimately enabling you to experience more of this expansive wilderness. Best of all, each morning you’ll wake up to a brand new landscape offering up a whole host of novel adventurous experiences. In short, river cruising is a fantastic option for those who want to see and do a lot within a limited amount of time. Covering great distances within the space of just a few days provides a sweeping overview of the region and all that it has to offer. The Amazon is famed for its diversity and a cruise enables you to witness all its unique flora and fauna, along with ever-changing landscapes, in full glory. The cruise vessel will deliver you straight to the highlights of the region, as well as immersing you in hard-to-reach spots that are virtually impossible to reach outside of a cruise itinerary. An Amazon river cruise transports you right into the heart of one of the most remote and pristine natural environments on the planet, such as the Pacaya-Samiria National Reserve in the Peruvian Amazon. 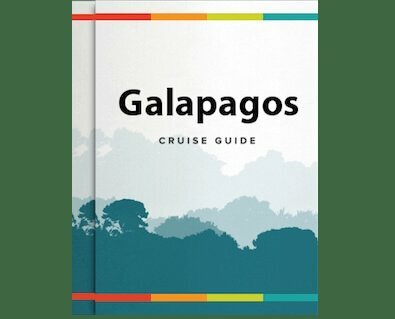 Each day, you’ll have the opportunity to embark on boating excursions, jungle treks, wildlife-spotting trips, cultural visits, and plenty more. The unique experience of being right in the heart of the forest, opens up a world of sights and experiences that are inaccessible to independent travellers. One of the best aspects of a cruise, is also the chance to enjoy this natural splendour from the comfort and unique perspective of the vessel itself. You’ll probably discover that it’s all too easy to while away the hours simply admiring the ever-changing landscape float past from the top deck. We’ll admit that the rainforest can be an uncomfortable and sometimes dangerous place at times. The humidity, rain, mud, bugs and generally unpredictable conditions can turn some people off from planning a visit. A great advantage of river cruising is that there are various cruise styles for you to return to a comfortable (if not luxurious) environment to eat, sleep and recuperate after a busy day in the jungle. All the facilities you could need simply travel with you, from a cosy cabin and stylish dining room, to spacious social areas, a pool, jacuzzi, gym and live entertainment. Unlike with ocean cruising, you can also rest assured that the smooth waters of the Amazon means there’s no danger of sea sickness spoiling the experience! Rainforest Cruises has the best selection of Luxury Amazon cruises out there! A cruise down the Amazon can be as action-packed or relaxed as you like. Those craving adventure and the chance to push outside the comfort zone, will find enough exhilarating activities to fill every hour of the day. Typical Amazon cruise activities can involve navigating uncharted tributaries, hiking through thick jungle, meeting indigenous tribes, sampling exotic cuisine and trying your hand at everything from kayaking to piranha fishing. In short, it’s impossible to get bored. On the other hand, for those in need of some downtime, you’re in no way obligated to take part in scheduled activities and you’ll find cruise vessels are equipped with everything you need to rejuvenate the mind, body and soul. Enjoy a refreshing swim or soothing massage, savour cocktails on the open deck or simply watch the world go by from your own private balcony. Cruising the majestic Amazon river is something that really has to experienced at least once. Whether you’re the adventurous type eager to experience every activity on offer, or honeymooners looking to share timeless memories together and indulge in a spot of luxury, an Amazon river cruise is a truly unbeatable vacation choice. For more information about booking an Amazon River Cruise call us at 1-888-215-2555, or send us a message on our Contact Us page.